What Day Of The Week Was December 23, 2017? 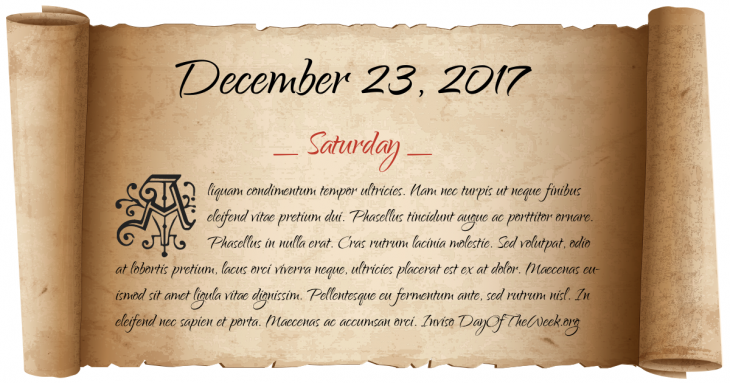 December 23, 2017 was the 357th day of the year 2017 in the Gregorian calendar. There were 8 days remaining until the end of the year. The day of the week was Saturday. Here’s the December 2017 calendar. You can also browse the full year monthly 2017 calendar.